This week is full of summer camp at Brookstone with Miss Glenn. A is having so much fun! He cried on Monday morning and insisted that he wasn’t going, but when I picked him up at noon that day he begged to go back. 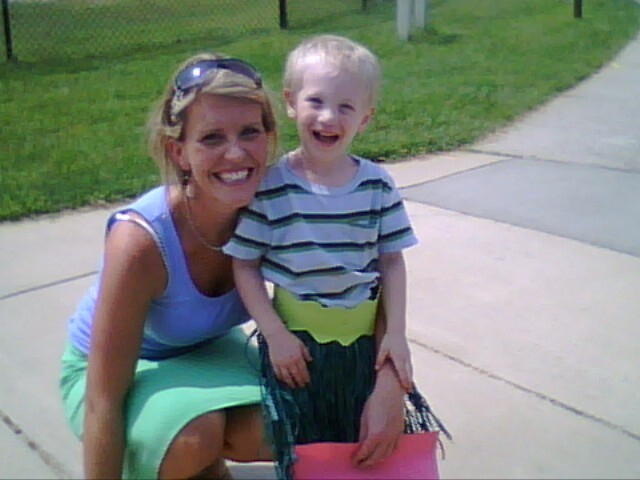 Today they “visited” the Bahamas where he made a grass skirt and ate pineapple.